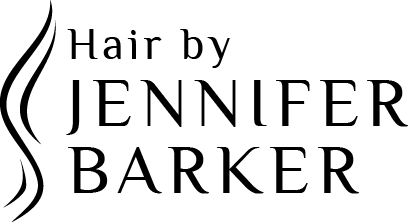 Hair by Jennifer Barker is a boutique salon located in the heart of North Bondi. We offer high-quality services: cutting, styling, colour, blowdrys, upstyles, hair extension, keratin and in-salon treatments. Hair by Jennifer Barker is 100% KEUNE salon. Registered Mobile Hairdresser with 13 years industry experience nationally and internationally. Group or individuals welcome, evening or weekend app avail on request. Have all hairdressing services in the comfort of your own home precision cutting, specialist colouring, blowdries, wefts and wig work on consultation. Pls contact via email or mobile for booking enquiries. Bliss Beauty is currently offering a Glamour Package including: * 1hr Aromatherapy Massage or 1hr Blissful Lotus Facial * Manicure * Pedicure * Lash Tint * Brow Tint * Brow Wax ALL for only $125! Other services include: * Manicure & Pedicure Combo.. $40 * 90min Aromatherapy Massage.. $80 * 60min Aromatherapy Massage.. $60 * 1hr Blissful Lotus Facial.. $70 * 45minute Purity Facial.. $50 * Spraytan.. $30 * Make-up Artistry.. $60 * Brow Shaping.. $15, Brow Waxing.. $10 * Parrafin Feet & Hands Softening Treatment.. $20 * Brazilian.. $35 * Full leg & Bikini.. $35 * Underarm Wax.. $10 * Lip, Chin & Brow Package.. $20 * Lash Tinting.. $15 We also provide Fashion Styling & Personal Shopping services to give you the entire Beauty & Style Make-over at an affordable price. We are extremely friendly & down-to-earth only offering genuine solutions that work. We don't believe in fads or selling you false promises as so many in the beauty industry do. We believe in true beauty from the inside out & making the most of the beauty each of us have to work with.. Hair & Beauty Services in North Bondi, New South Wales.